Reading The Play and each of our specialists has a proven track record. We’ve been doing this for the long haul, we are not fly by nighters who have just started up with a new website and we enjoy many long term loyal subscribers and followers. Our analysts have been working at their ‘trade’ for many years. They bet professionally to win. They spend hours each week reviewing the form and markets to form an opinion and bet recommendations in their individual areas of speciality. Unlike many, they also provide a written pre-event overview that supports their opinion and offers our subscribers a further ‘feel’ and reasoning behind each bet selection. Matt Thompson provides expert Horse Racing Best Bets each week for our Reading The Play subscribers, a highly experienced punter, breeder, jockey manager and long term industry participant he brings a meticulous approach to his work and selections, refined over many decades of professional punting. His approach is very selective with a likely 2 to 4 selections each week with Saturday’s his main focus. Educated, well reasoned winning best bets and horse racing tips for Australian horse racing. Having coached at a senior level for 16 years including 3 years on the coaching staff of an NRL club, Mr G is an avid student of the game. He’s coached sides to win titles at a senior level, run the football arm of a successful district club, managed professional players and worked in various development roles, so it’s fair to say the game of Rugby League is certainly in his blood and supports an experienced and unique offering. MrG is also a specialist guest contributor on all things NRL to radio Talkin Sport heard nationally across 35 stations on the 2sm and Super Network. Having played and followed the game for some 31 years Statsman combines an in depth statistical analysis and hands on view of the AFL. Statsman has a strong sense of history and repeatedly quotes Spanish philosopher, George Santayana in saying ‘Those who cannot remember the past are condemned to repeat it.” He understands the markets and how to beat them; this is the key to winning long term. He has a keen eye for form, bias, faults and misconceptions within market. Statsman beats the market because he has an edge – he analyses the stats, he doesn’t just use them, he looks for angles and opportunities that others don’t see and he doesn’t believe the hype. 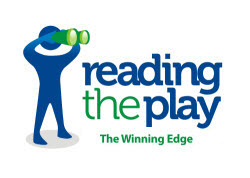 Unlike most alternatives at Reading The Play we don’t just offer a bet list, we also offer key information, analysis and our “read” on what we expect to unfold around each recommended sports bet. Subscribers enjoy the pre event preview, thoughts and rational as it provides them with not only a potential betting play but a broader “feel” and connection to each selection. Each Sports or Racing Preview is available prior to each event (either on a nominated race day or prior to the start of each sports round). SMS notification is also sent to all subscribers on any given day new selections or updates have been published to advise. Subscription to the website allows subscribers unlimited access to the published content for the duration of their subscription so that they can revisit at any time to check preview content, bet recommendations and or any updates. Click here to Register as a website Member. You should then be logged in, if not click here to manually Log In . Go to the subscriptions page and choose your subscription and pay via PayPal check out (a PayPal account or Credit Card payment). Premium content will now be unlocked. As a website Member and or Subscriber you can upgrade or purchase any new subscription at any time, just follow the same subscription steps under the Subscription menu. Sports and Horse Racing Previews and Betting Tips & Picks.